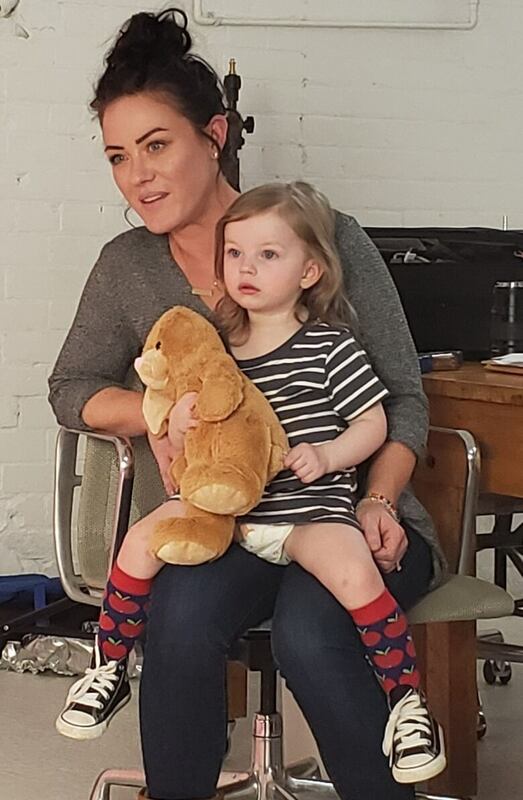 Toronto designer Anna-Maria Mountfort is taking her baby clothing line mimiTENS and using it to give children with limb conditions mittens that fit - for free. Her goal is to raise awareness for the needs of little ones with the condition, as well as show society that these kids are normal too. To mark Limb Difference Awareness Month, clothing designer Anna-Maria Mountfort is leading the charge in giving children with limb conditions clothes that fit — starting with her clothing brand mimiTENS. Mountfort held a photoshoot in Liberty Village on Sunday, bringing in children with various limb conditions and their parents. Her goal is to raise awareness and support for these children, as well as destigmatize the condition and create fashion they can identify with. "How many of us grew up seeing ourselves reflected in advertising, ourselves reflected in TV?" Mountfort said. "It's [about] understanding and compassion." Mountfort learned about the needs of "limb different" children when a hand surgeon from Sick Kids Hospital walked into her shop to buy mittens for a patient. Realizing the demand for adaptive clothing, she decided to take on the challenge of providing clothes for kids across Canada. Kathryn Hunt came to the photoshoot with her two-year-old daughter, Olivia, who was born with fewer fingers on her right hand. Since Olivia's little hands don't fit in conventional gloves, Hunt said she needs special mittens to make sure she stays warm. Moreover, Hunt said her daughter should feel confident around other children and that clothes are the perfect place to start. "It's important for her to feel like everyone else," Hunt said. The end-goal, she said, is to give Olivia a life where "she doesn't feel like she's different and that she is basically viewed the same as everyone else." "She's perfect exactly the way she is." Parents will be able to order customized mittens through an online form, where they can draw a photo of their child's hand and then a pair of mittens will be shipped to them for free. The cost of the mittens will be paid for through fundraising, with the help of the Toronto Foundation. On top of managing the donations, the foundation will match any funds raised. Canadian Football League athlete Natey Adjei also attended the photoshoot to show his support. Having missing fingers himself, Adjei said it's crucial for children to have someone to look up to and know that they are not alone. "If you don't see anyone with your [situation], you kind of feel isolated," he said. "For kids to know that there's other kids just like them and things are going to be okay, that's really important." Mountfort hopes to raise enough money to fund support services that give differently-abled children the self-confidence to succeed, as well as show the rest of society that people with abnormalities are regular people too. Though she previously had no knowledge of this community's needs, Mountfort said it's now her duty to stand up for them. "If someone comes to you and says this would really make my kid's [life] better … of course you want to help."